You are an industry entrepreneur looking for logistics solutions for your projects. RedMed Group puts at your disposal its integrated solutions, which cover a range of activities related to petroleum services. The Group’s activities are carried out in four sites: Algiers, Hassi Messaoud, Adrar, and In Salah. Since its establishment in 1996, RedMed Group has evolved and achieved overall growth based on the values of excellence and innovation. RedMed Group provides air services through its two entities JetAir Sahara and Star Aviation. JetAir Sahara operates long haul flights from European capitals, like London and Madrid, to Hassi Messaoud and Adrar via Algiers, and is relayed by Star Aviation on the domestic network. Naturally, aerial work is at the forefront of the Group’s activities. In terms of hotel services, RedMed Group meets requirements with world-class residences, which provide comfort and well-being. Our main mission is to accommodate our guests in an ideal setting to ensure their stay is pleasant. The RedMed Base offers luxurious hotels and deluxe residences equipped with all amenities. These normative applications are also implemented in other fixed and mobile bases scattered throughout oil and industrial activities areas. As part of its hotel network, a subsidiary of the RedMed-Group is dedicated to catering activities and other high class restaurants (NewRest Remote). RedMed Group offers modern sports facilities including a sports hall with all necessary equipment and accessories for maximum comfort, a semi-olympic outdoor swimming pool with a diving pool and a sunbathing terrace, a comfortable lounge with service desk, TV and pool table. Human Resources management is a key activity of the Group. The HR Department is a pool of skilled professionals with multiple qualifications required in the oil world. Through its Human Resources Department, the Group offers to customers several teams of seasoned experts with increased mobility who meet specific needs. In addition to this support, the Group provides offices equipped with all convenient amenities for the proper functioning of onsite work. Training is, of course, one of the activities dedicated to the oil industry. The Training Center provides courses and issues certificates. Training and qualifying sessions are included in the training center programme. The Center receives candidates from several countries for tailored training. It offers training courses for the International Well Control Forum Certificate (IWCF). A DS20 simulator is used at Hassi Messaoud. It ensure compliance with the required standards on oil platforms around the world. Prevention in medical issues is a key factor in oil operations. 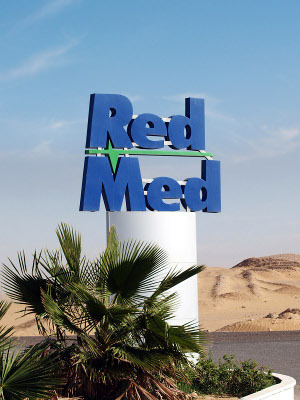 For this reason RedMed Group set up a state-of-the-art medical facility with appropriate human and material resources. The clinic International SOS Algeria covers preventive medicine, occupational medicine, assistance, and medical emergencies, as well as medical evacuations via land and air. Laboratoire Fechkeur (LF) performs an important role in cooperation with ISOS Algeria medical support. LF is a medical and microbiological laboratory with sophisticated equipment, which ensures reliability and speed of execution. In addition, LF laboratory holds international certifications for bacteriological and chemical analyses, water quality control, and microbiological food analysis. Logistics and civil engineering are inseparable activities for the control of oil and gas sites. Our core business is based on logistics. For this purpose, the Group has set up a specialized subsidiary called Schuch Engineering. This limited liability company (LLC) meets all logistical demands and professionals’ requirements. Schuch is specialized in the supply of appropriate logistical equipment. The logistics platform includes a fleet of trucks and standard heavy machinery to facilitate transport and cover long distances. This core activity is nominated for a seven star award. It ensures the functions of Engineering Procurement & Construction (EPC). This capacity meets the requirements of various missions relating to civil engineering. The Group has an extensive hands-on experience. Building on expertise, we identify and develop HSE procedures systems according to field requirements and our clients’ needs. We advise and accompany our customers to develop and enforce HSE policies in accordance with regulatory provisions. To ensure environmental protection, the Group has implemented multiple programmes to recover and recycle waste through biological and thermal processing. These programmes are based on the rational use of resources and the implementation of regulations relating to environmental protection. Moreover, the Group ensures compliance with good environmental practices. The Group ensures and manages the transport of mobile camps for its customers wherever they go. Mobile camps made up of Saharan cabins are set up according to customers’ needs with the help of professionals in various on-site activities. AFMC (Algerian Facilities Management Company) is led by industrial safety and security professionals who put their know-how at the customer’s disposal. Qualified and experienced professionals assess risks and act synergistically with other departments of the Group. The staff comes from approved companies working in the areas of industrial safety and security. RedMed Group works perfectly within the scope of the Corporate Social Responsibility (CSR) approach. 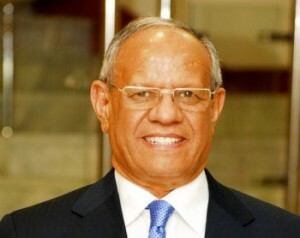 The Group is therefore engaged in several actions for local communities in the regions where it operates. Its actions deal with solidarity, employment-training, and health for the benefit of the local communities.